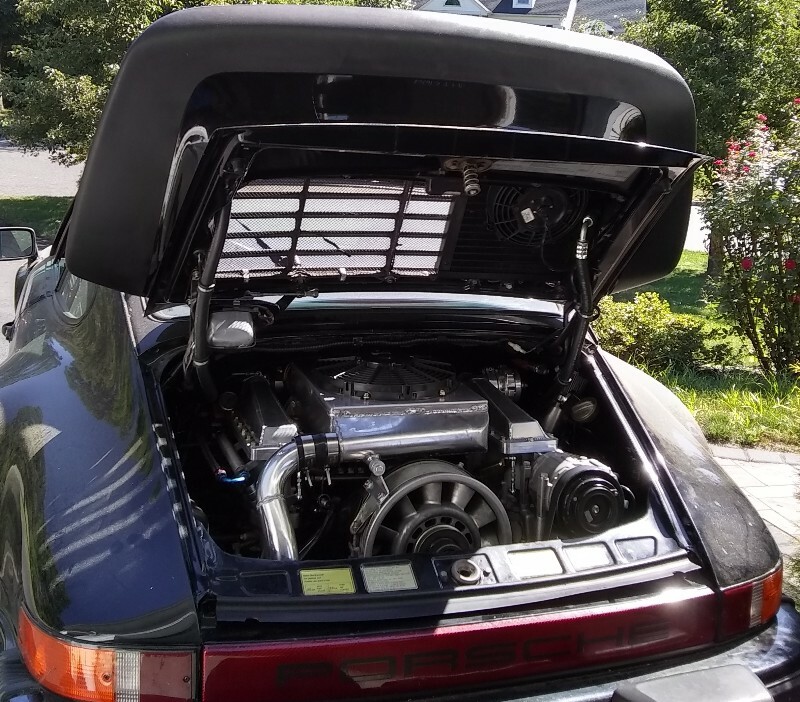 Get the ultimate in performance from your 930 or 911 turbo EFI conversion. 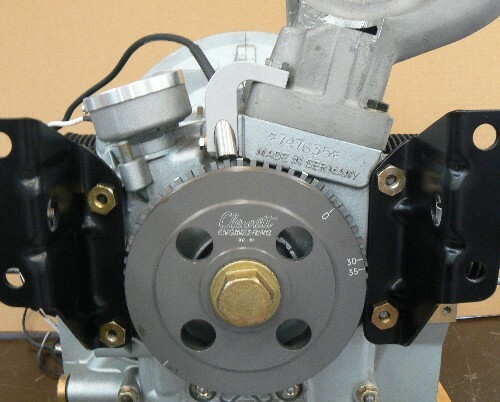 Our throttle body/inter-cooler kit is ready to bolt onto a stock or modified Porsche 930 engine. 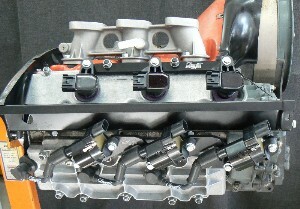 PMO throttle bodies provide maximum flow to the heads. 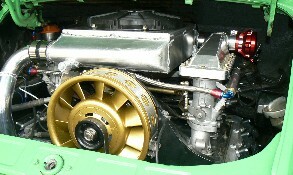 The inter-cooler system is computer designed to optimize flow and maximize efficiency to the throttle bodies. 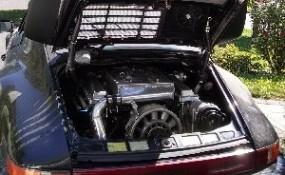 This system can be used for 911 conversions to turbo. 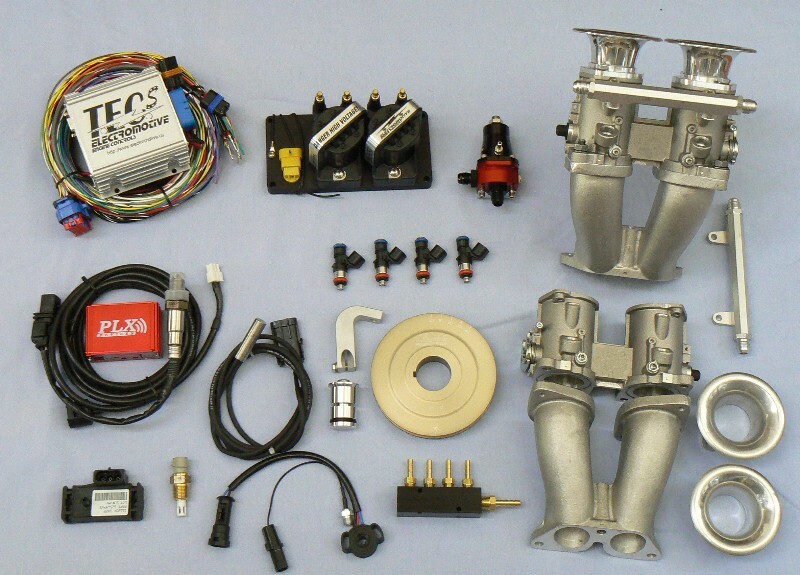 Use this kit with any 911 engine built for turbocharging. Bolt on a 930 exhaust and turbo charger along with this kit to complete the induction system. The throttles and inter-cooler fit under the factory 911 deck lid. No tail makes the ultimate sleeper. The conversion kit includes the TEC-gt200 engine management system, coil-on-plug (COP) ignition, throttle body kit, inter-cooler, plenums, BOV, injectors, sensors and connectors. 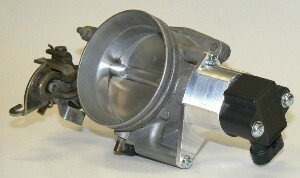 It can be used with stock or upgraded turbo chargers. No welding or machine work required. This system is ready to bolt on. We have designed a 2 wire idle speed control valve body for every application. The 2 wire valve is responsive and does a great job at maintaining a steady idle. The valve body is threaded on each end and available with straight or 90 degree fittings. 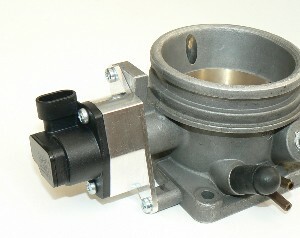 The valve can also be mated to a multi-port manifold for individual throttle body conversions. The kit includes a universal mounting bracket, which can be cut, bent and drilled to mount the valve for any custom installation. 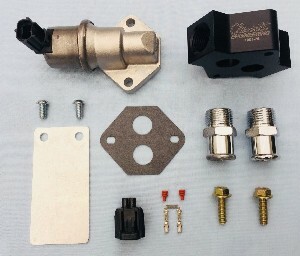 The kit includes: 2 wire valve, valve body, hose fittings, gasket, electrical connector, universal mounting bracket, fasteners and instructions. Visit our Sensors Category to see complete kits. Update your old distributor and CD box to a modern Coil-On-Plug (COP) ignition system. XDi200 Ignition kits and TEC-gt200 Engine Management kits are now available with COP. Our COP kits are Bolt-On and include coils & connectors, mounting brackets, hardware and instructions. 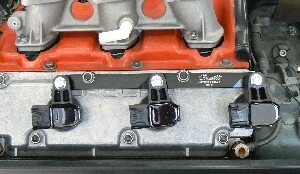 For Dual plug engines add the Coil-Near-Plug (CNP) kit for the bottom set up plugs. The CNP coils tuck up neatly under the engine sheet metal. The CNP kit is a Bolt-On and includes coils, & connectors, mounting brackets, plug wires hardware and instructions. Simplify your 3.2 Carrera and 930 EFI conversion with this high resolution TPS sensor and adapter. New from Clewett Engineering, high resolution Hall Effect TPS sensor for converting the 3.2 Carrera and 930 Turbo engines with factory intake manifold to aftermarket EFI systems. 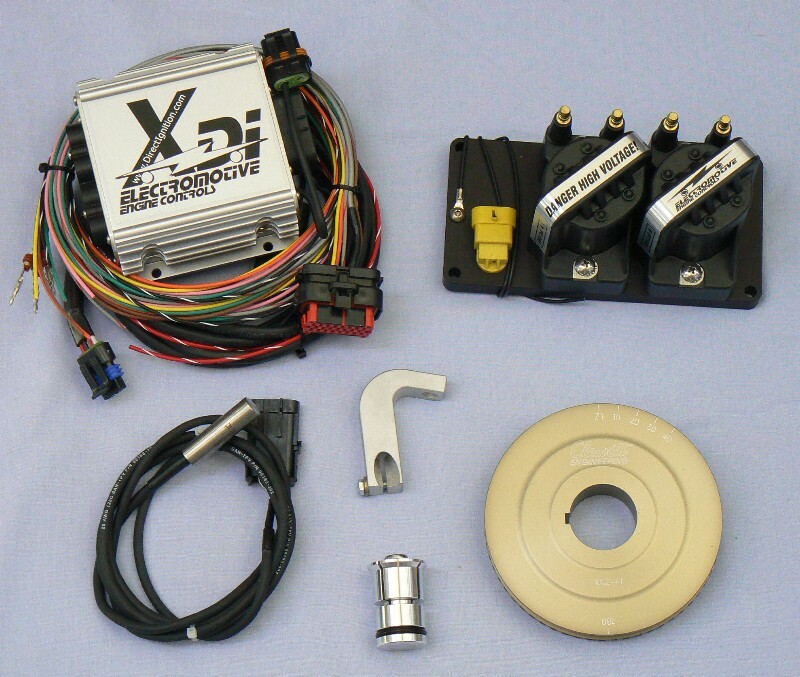 This kit replaces the factory micro switch type TPS with the latest angle based output throttle position technology. It works with all engine management systems reading 0-5 volt input. Hall Effect sensors provide enhanced accuracy and reliability in extreme environments. They use a standard 5V supply voltage and expand the output voltage range over traditional sensors.The typical output voltage is .6V to 4.2 V. Because there are no contacts or components to wear out within the sensor or magnet, life expectancy is greatly improved over traditional electromechanical sensors. We have the solution for a TPS sensor on the 964 Porsche with plastic intake manifold. 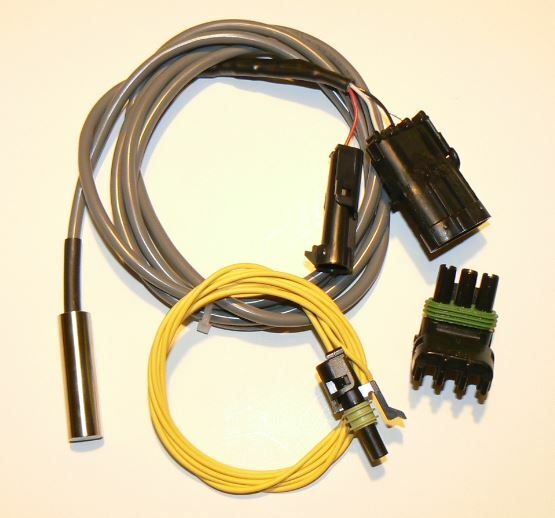 This sensor kit provides the input voltage required for accurate throttle position to aftermarket EFI systems. This kit replaces the factory micro switch type TPS with the latest angle based output throttle position technology. It works with all engine management systems reading 0-5 volt input. Hall Effect sensors provide enhanced accuracy and reliability in extreme environments. 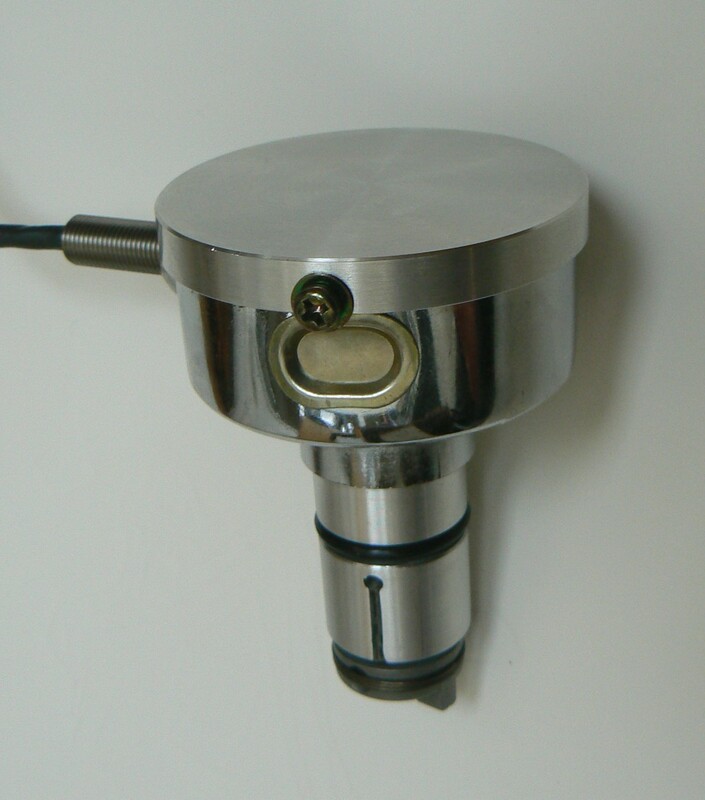 They use a standard 5V supply voltage and expand the output voltage range over traditional sensors.The typical output voltage is .6V to 4.2 V. Because there are no contacts or components to wear out within the sensor or magnet, life expectancy is greatly improved over traditional electromechanical sensors. New from Clewett Engineering, high resolution Hall Effect TPS sensor for PMO throttle bodies. Hall Effect sensors are the latest in throttle position technology. They provide enhanced accuracy and reliability in extreme environments. They use a standard 5V ECU supply voltage and maximize the output voltage range over traditional sensors.The typical output voltage is .6V to 4.2V. Because there are no contacts or components to wear out, life expectancy is greatly improved over traditional electromechanical sensors. The expanded output voltage is is a great improvement for Alpha-N tuning with PMO throttles. The kit comes complete with sensor, adapter, wire harness connector and instructions. Electromotive's NEW Engine Management systems are here! We are currently updating all of our 911/930 EFI conversion kits to the TEC-gt200 ECUs. We're running out of space and doing some house cleaning! We've been adding to the Spares category in our catalog and there is more. There's sure to be something just right for your project. *If upgrading from WinTEC 4.9 or earlier, be sure that you update the ECU firmware after installing WinTEC 4.11, as unit may lock up if using earlier firmware version. Also, make sure that after upgrading the software and firmware you convert your tuning files by going to "File" doing a "Save-As" and save the file as a new name. This must be done before loading them onto the unit! You can tell if a file has been converted by it’s size. WinTEC 4.9 and earlier files are 10Kb, while WinTEC4.11 files are 12Kb. If you don’t follow these instructions, you may end up having to send the unit back to Electromotive. If you would like assistance with the update, give us a call. We now have the solution for engine management on 912 / 356 engines. We have kits for both single and dual plug engines. This kit has all the great features, performance and reliability of our 911 kits. Car must be converted to 12 volts to use this system. We now have the solution for high resolution ignition on 912 / 356 engines. We have kits with the standard XDI and the laptop programmable XDi2. 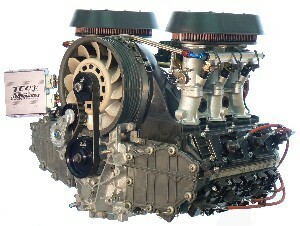 Both systems are available for single and dual plug engines. This kit has all the great features, performance and reliability of our 911 kits. 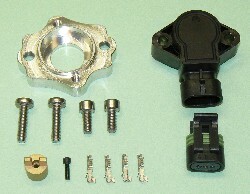 NEW - Crank sensor adapter for 964 & 993 engines using the factory crank trigger. We now offer the option to use either the Electromotive Magnetic crank sensor or Hall crank sensor in place of the factory Porsche flywheel crank sensor. These sensors options can be used with any of the current Electromotive ignition or engine management systems. Magnetic and Hall sensors sold separately. We now have a 60-2 high resolution crank trigger solution for the 912 & 356 engines. This kit can be used with any of the Electromotive ignition or engine management systems. Complete kits are available for the XDi or XDi-2 ignition systems. Coming soon a complete EFI conversion kit for 912 & 356. Note: cars must be using a 12 volt charging system for these ignition systems. We now have a cam sync adapter to provide a reference pulse for 914-4, 912, 356 & VW. When converting to EFI, the cam sync signal is used to phase sequential fuel injection. We now have 36-1 trigger wheels & adapters for MegaSquirt and MegaJolt. They fit all of our standard 911, 964 & 993 pulley configurations. 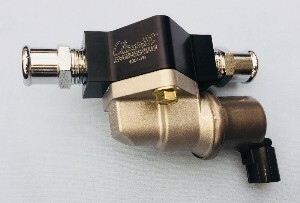 This new high resolution crankshaft hall sensor is for use with Electromotive TEC engine management systems, XDi-2 and later model XDi ignitions. The change to a hall sensor with the TEC systems is simple. The sensor fits the same 1/2 bracket and plugs into your existing harness connector for the magnetic sensor. Connect the additional yellow wire to a switched ignition power source. Go into the software under advanced settings and change the crank sensor from magnetic to hall. From there Save and program the ECU and your done. 911 Serpentine Fan Belt Kit for 2.0-3.3 is back! After being discontinued for over a year, we are bringing back our 2.0-3.3 Serpentine Belt Kit. The belt tensioner has been redesigned, making it smaller and lighter. The kit is easier to install & adjust, and provides better air flow to the engine. We have the left and right fan shroud block off covers for 911 engines. Made of fiberglass and available in black or amber. They are light, fit well and look great. We have the solution for scavenging oil for 930 turbo applications and a cam trigger for sequential fuel injection. Our new pump provides the capacity to scavenge a single or twin turbo engine. It also provides the option of a cam signal for sequential fuel injection, and that nice clean idle we all enjoy. This is a nicely documented installation of our TEC-gt/PMO individual throttle body kit. "Trog" did a great job with his installation. It's good reading if you are considering an engine management installation. Select the picture for a preview. We thank "Trog" for sharing his experience. NEW AiM Data Systems are compatible with Electromotive! AiM Sports now offers plug and play digital displays/data loggers that interface with Electromotive TEC-gt & TEC-3r Engine Management systems. AiM Sports’ MXL family of digital displays and race data acquisition systems are now fully compatible with Electromotive engine management systems via a serial RS-232 connection. These new PMO throttles are the best solution when converting to an individual throttle body system. 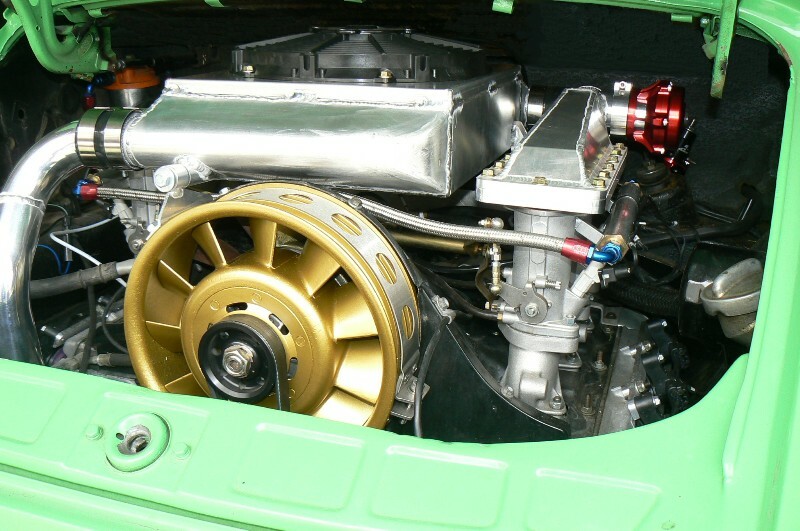 They come in sizes 40, 46 and 50mm, for all air-cooled six engines. They are easy to set-up, have individual air bleeds for precise balancing and vacuum ports on each bore providing a smooth uniform vacuum signal to the MAP sensor. These throttles are made to the same high standards as the PMO Carburetor. 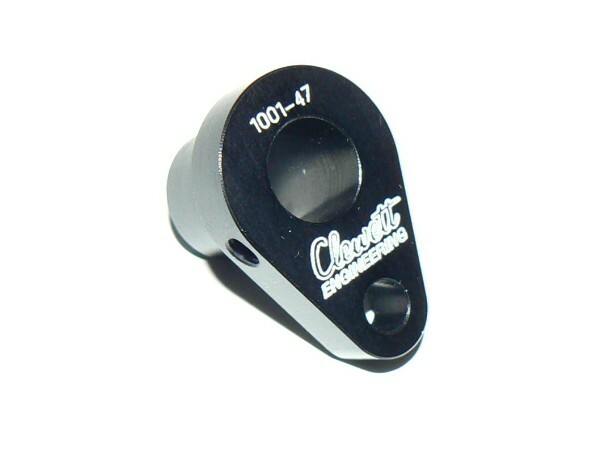 Our Clewett Engineering individual throttle body kits now include the PMO Throttles. Available now.